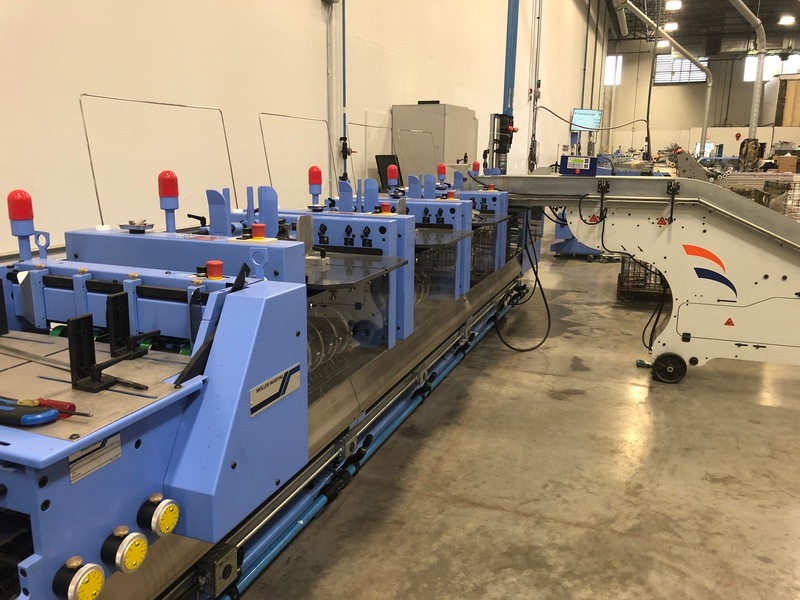 Muller Martini recently remanufactured a 335 Saddle Stitcher for Mitchell Press Ltd., the largest commercial heat-set web printer in Western Canada and the Pacific Northwest. The company outputs on average over two billion publication pages per year. I’ll let David Mitchell, Owner/President, describe his Muller Martini remanufacturing experience. Steve Gardner: Why did you choose to remanufacture a legacy machine? David Mitchell: There were a number of reasons for us to go in this direction. 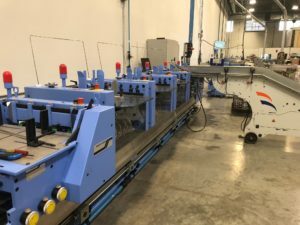 While the 335 does not have the benefits of today’s level of automation, we have a 30-year history with this equipment and know it to be a productive, reliable machine. With an aging workforce, we have also found that some are better than others at adapting to this technology: touchscreens and menus are a significant adjustment versus wrenches and buttons. 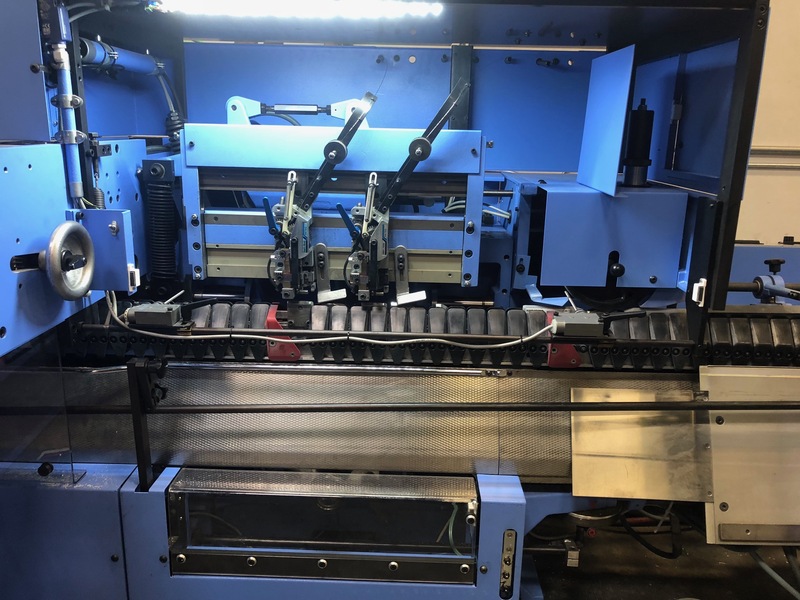 With the remanufacturing resulting in a better-than-new 335, we can leverage the experience and comfort level of older employees, and schedule work such that it minimizes the issue of not having the automation. And, of course, as we had recently made a significant capital investment in the Primera, this was also a cost-effective way to boost productivity within the department. We definitely feel it was a worthwhile investment, and the combination of the “new” 335 and the Primera gives us additional capacity and flexibility with regards to both scheduling and crewing—at a reasonable cost. Steve Gardner: Are you happy with the results? David Mitchell: We are extremely happy with the results. While we had no doubt that Muller Martini would do an excellent job, we were not expecting the degree to which they focused on and addressed every detail. The machine is truly brand-new, and I have no doubt that it is performing to a higher standard than it did when it was first installed in 1987. As we had it painted laser blue to match the Primera, and so many components were replaced, it could easily be mistaken at first glance for a new stitching line. Steve Gardner: Operator feedback? How its working for the bindery? David Mitchell: The operators are very impressed, especially with the detail and care put into the remanufacturing. As I mentioned, there is a comfort level with the more seasoned operators who have run this equipment for 20-30 years, and now that it’s back to factory spec (or better), they can get more out of it on every shift and spend less time trouble-shooting a tired machine. 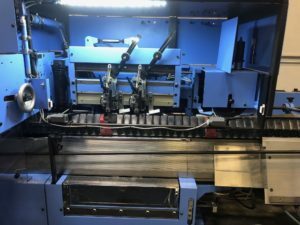 Muller Martini’s “Certified Rebuilt” program can be the smart solution for your legacy finishing equipment, enabling you to remain competitive without making a huge investment in all-new equipment. To learn more, simply contact me or your Muller Martini regional sales manager. ← Thinking of Entering the Textbook Market? These Guidelines Are Followed By All Major Players.